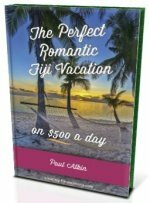 Want to know the top 'island' resorts in Fiji? 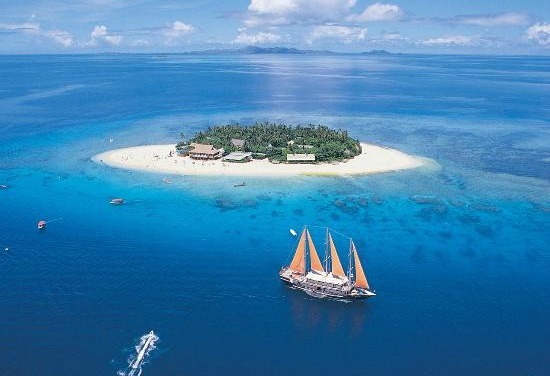 Discover resorts that have their own island on this magical Top 5 Fiji island resort list. Not only their own island... but the resort encompasses the whole tropical island! It couldn't get any more enchanting. You've probably seen them in films and on postcards. 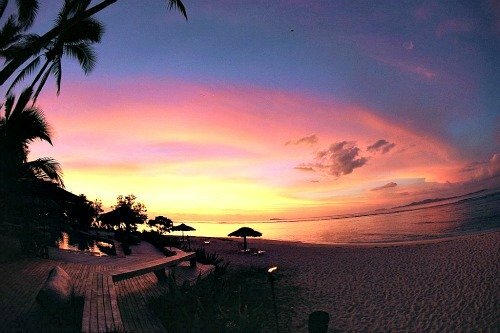 And now there is a 'Top 5 Fiji Island Resorts' list. and... one is a spectacular luxurious one-suite island! If you'd like to try to find these flyspecks, visit our maps section. I'll give you a helping hand... head west from Nadi (Viti Levu's west coast) and you'll reach the Mamanucas. In the meantime, enjoy the list and may you find your perfect holiday destination! 1. 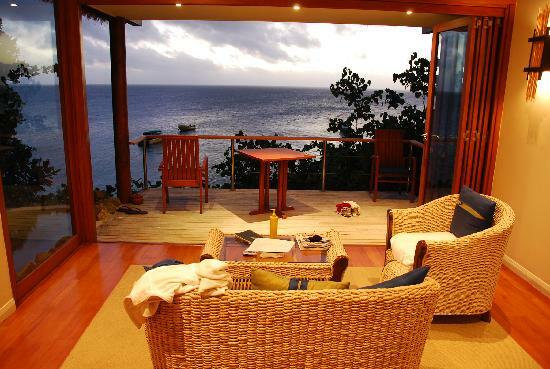 Treasure Island Fiji (Elevuka) has been providing exotic holidays on it's 6-hectare island since 1972. This 4-star destination has 66 traditionally styled bures and caters particularly well for families. It's close to Nadi International Airport which means you can arrive at your bure the same day you arrive in Fiji. A leisurely stroll around the whole island will only take a few minutes. 2. 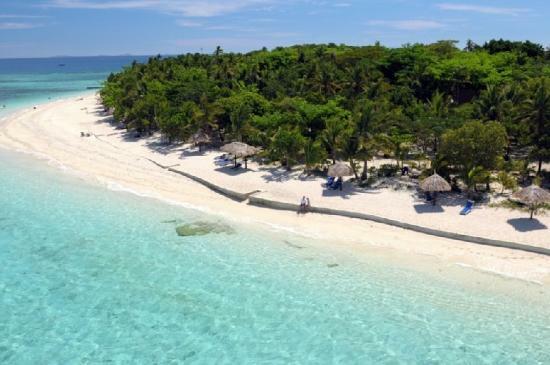 Royal Davui Island is a private adults-only remote island getaway and is the romantic entrant in the 'Top 5 Fiji Island Resorts' list. 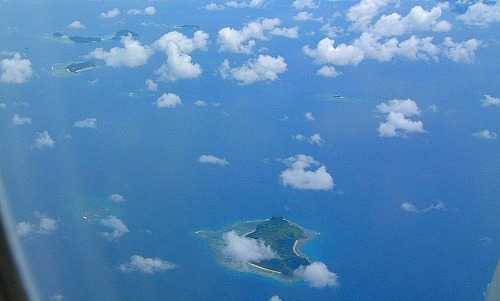 The 10-acre islet is off Beqa Island, Viti Levu. Each of it's 16 Vales (Fijian for 'home') has a private plunge pool. If that isn't romantic enough, a must-do would be to indulge in a 'Sand Quay Picnic'. Guests are taken to a sand islet, a 7-minute boat ride away, for a remote and surely one of the most unique ways to have a romantic picnic. Mats, a sunshade, and a picnic of your choice are provided. Could it get any more romantic? 3. Beachcomber Island Resort Fiji is well renown as the party island, and often the front and centre on postcards. 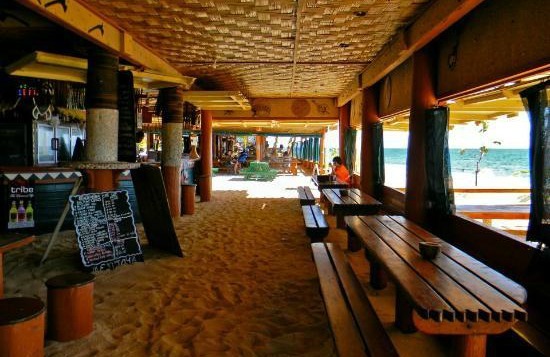 With a huge bar with it's sand dancefloor, live music, and nightly 'alcohol-related' activities, untold amounts of alcohol has been consumed here. 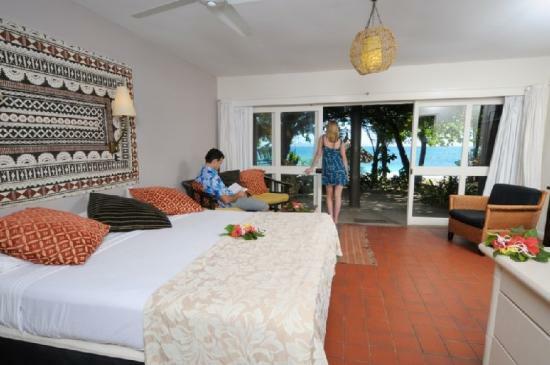 Accommodation options include a double-story 120-bed bure which makes it affordable especially for backpackers. 4. 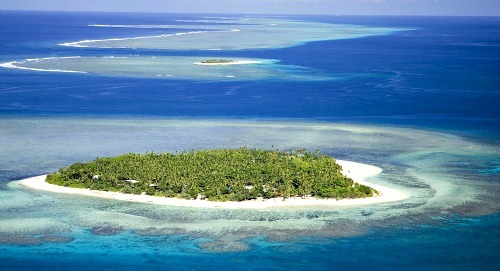 Tavarua Island is a 12-hectare (29 acres) heart-shaped Island paradise surrounding by white-sandy beaches. This hideaway provides simple 16 bures of accommodation and has plenty of activities to offer including surfing, diving, snorkelling, golfing, kayaking, tennis and fishing. There is fantastic surfing nearby. So not surprisingly, most of the guests are US surfers. Beginner to world class surfing can be had. Tavarua holds annual professional surfing competitions. 5. Wadigi Island Resort - "Why book a hotel room when you can have your own island?" is displayed on it's homepage. The tiny 1.2-hectare private island allows up to a maximum of six guests to stay at it's luxury three-bedroom suite atop the island. It comes with an infinity pool, living areas and decks, two small beaches, and seven staff which includes two gourmet chefs. Just a 10-minute helicopter ride from Nadi International Airport. If it's absolute privacy you want, this unique and luxurious destination will provide what few get to experience... having your own island!